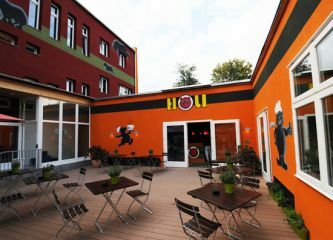 Discover Berlin - stay and live in the hotel "HOLI-Berlin"! 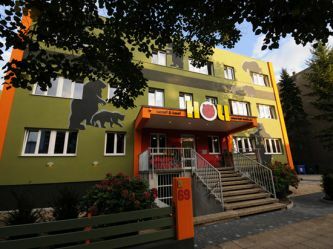 Hotel "HOLI-Berlin"- Berliner Hotel in Lichtenberg, the green and central Berlin district. Stay and live in the calm but central and green Berlin Lichtenberg. 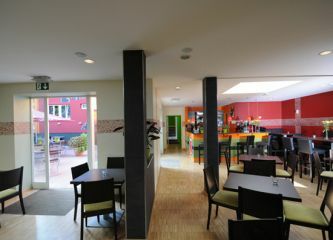 Central location near the pulsating life of the trend districts Berlin Friedrichshain and Berlin Kreuzberg. Experience Berlin culture and history close to Berlin's top spots of culture. 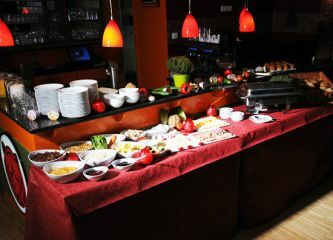 You'll find original Berlin atmosphere with a beer garden in the green, a cozy lobby and restaurant with fireplace and lovely rooms at a great price. Free parking spaces are available (also for coaches).